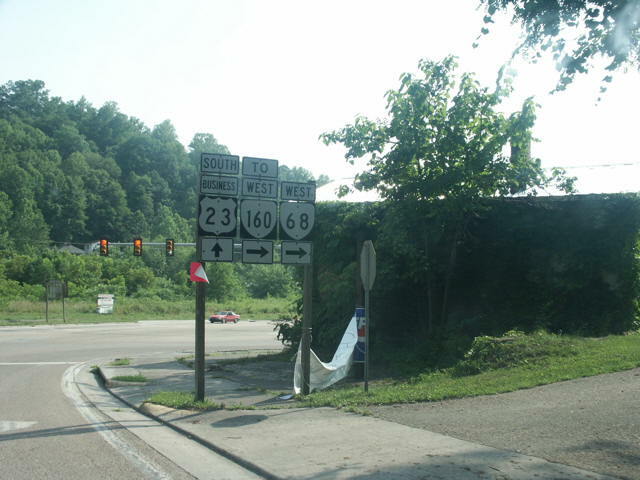 VA 68 transitioning to SR 606. Photo by Mapmikey, taken May 24, 2008. 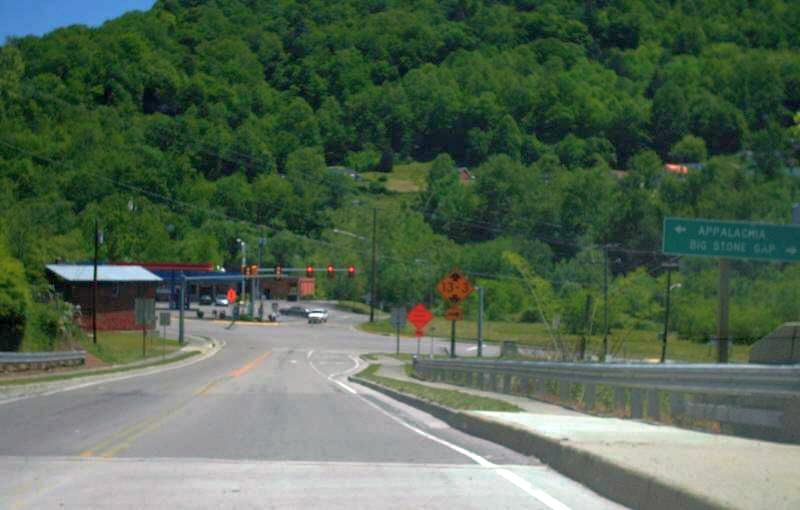 Looking the other direction onto VA 68 east. 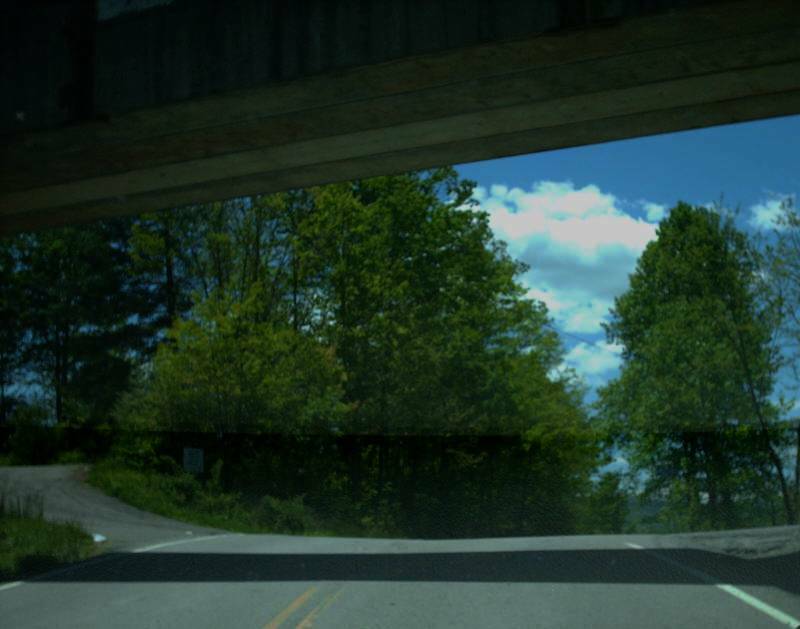 The overpass is for a coal company. Photo by Mapmikey, taken May 24, 2008. Shortly thereafter is VA 68 reassurance. Photo by Mapmikey, taken May 24, 2008. 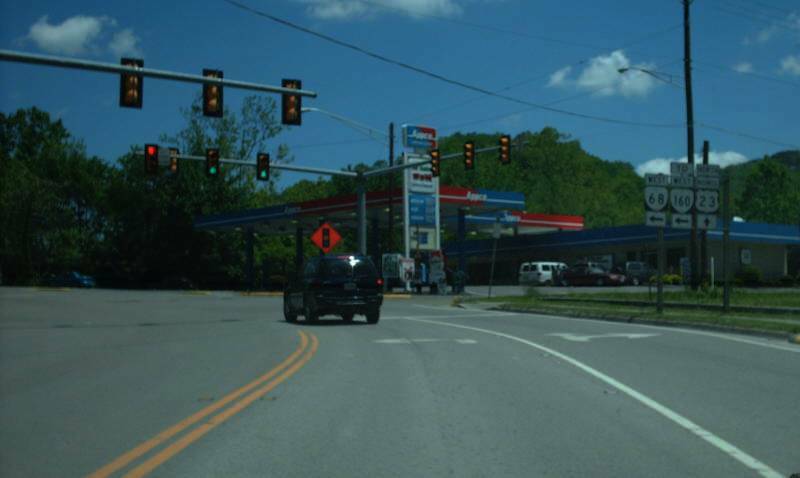 Northbound on US 23 Business. Note the open space on the gantry where US 58 ALT used to reside. Photo by Mapmikey, taken May 24, 2008. 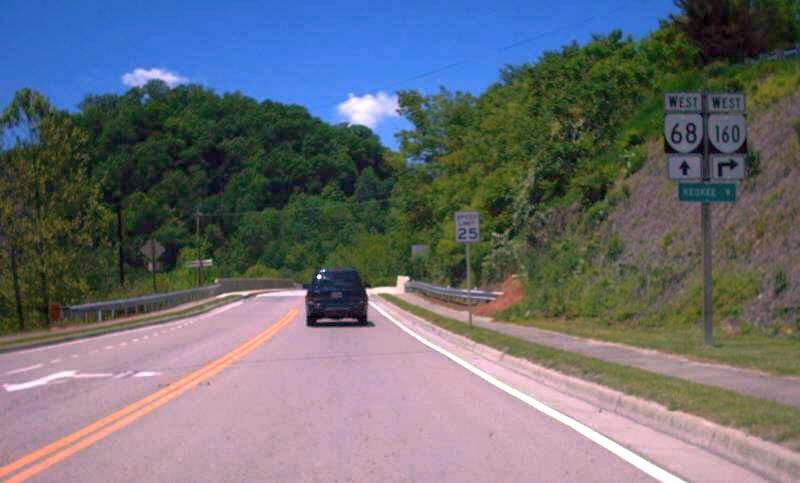 VA 68 coming down to 23 Business. 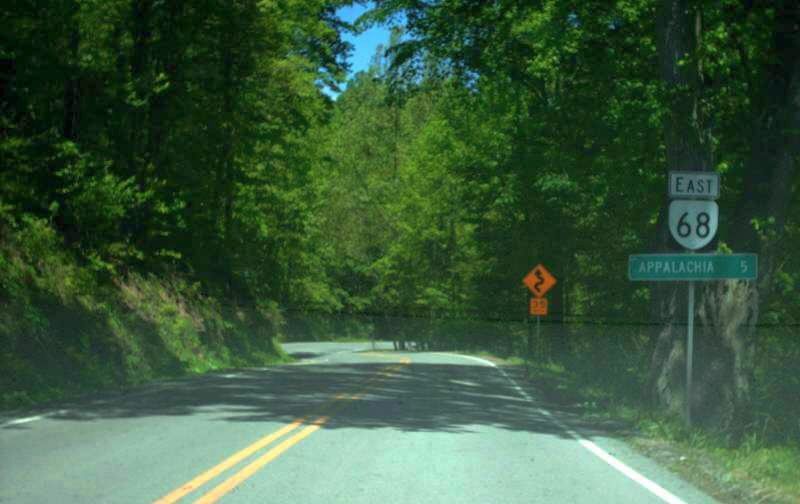 VA 68 has ended here since 1986. Photo by Mapmikey, taken May 24, 2008. 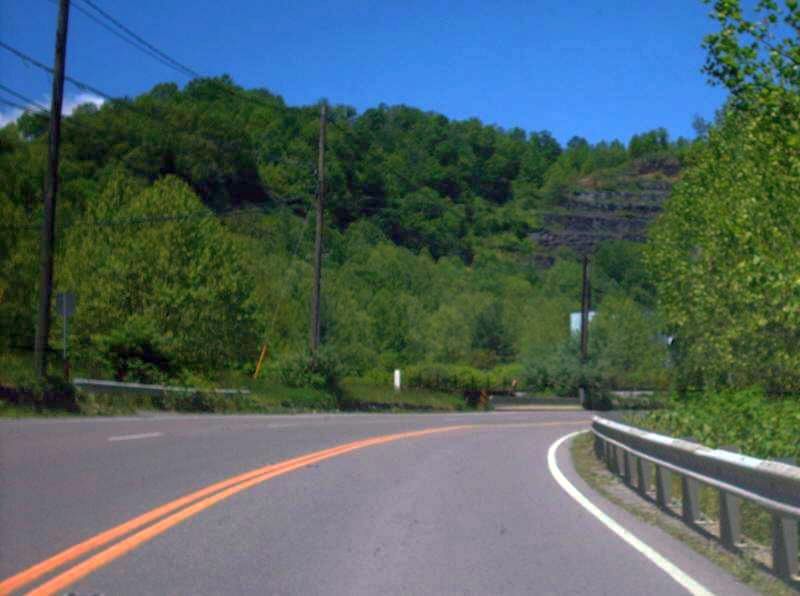 From 1933-86, VA 68 ended 0.43 miles further south on US 23 Business. 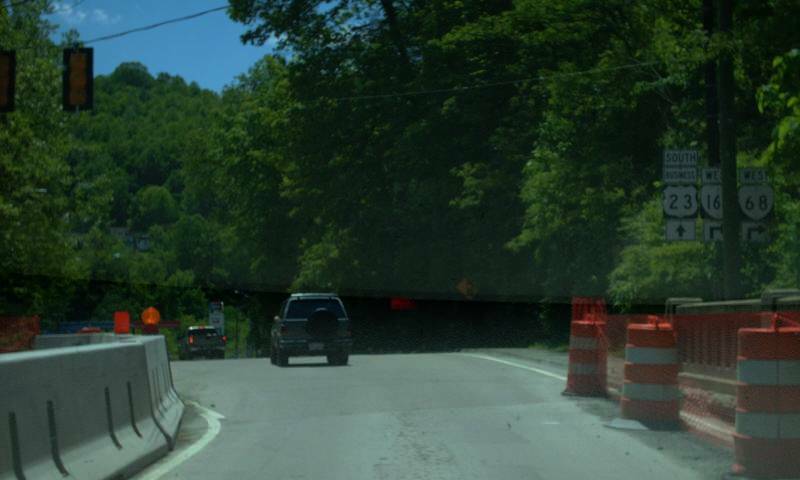 This is SB US 23 Bus - the guard rail on the right is where VA 68 used to be. Photo by Mapmikey, taken May 24, 2008. 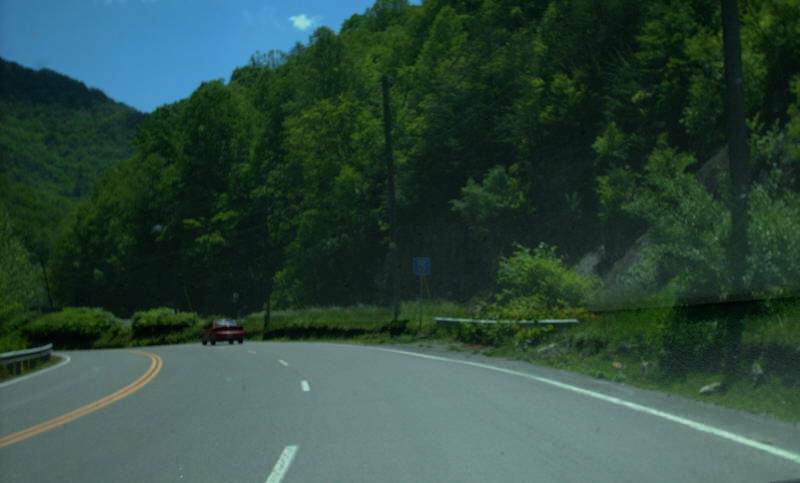 This is NB US 23 Bus - the guard rail on the left is where VA 68 used to be. Photo by Mapmikey, taken May 24, 2008. 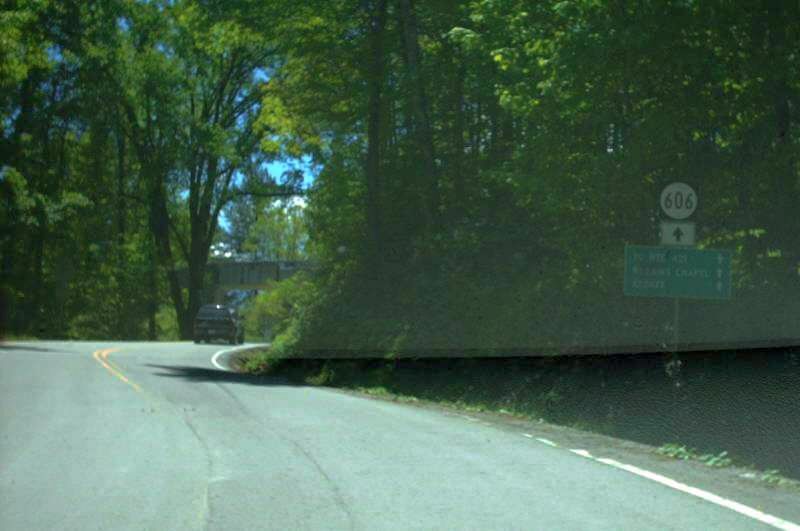 This is a blurry view of old VA 68 approaching US 23 Bus. 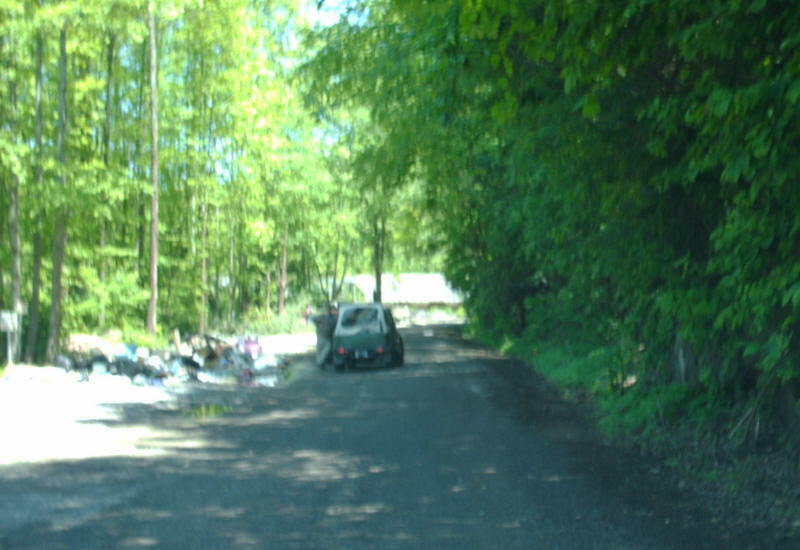 This old alignment serves a convenience site and stops before reaching the railroad that parallels US 23 BUsiness. Photo by Mapmikey, taken May 24, 2008.